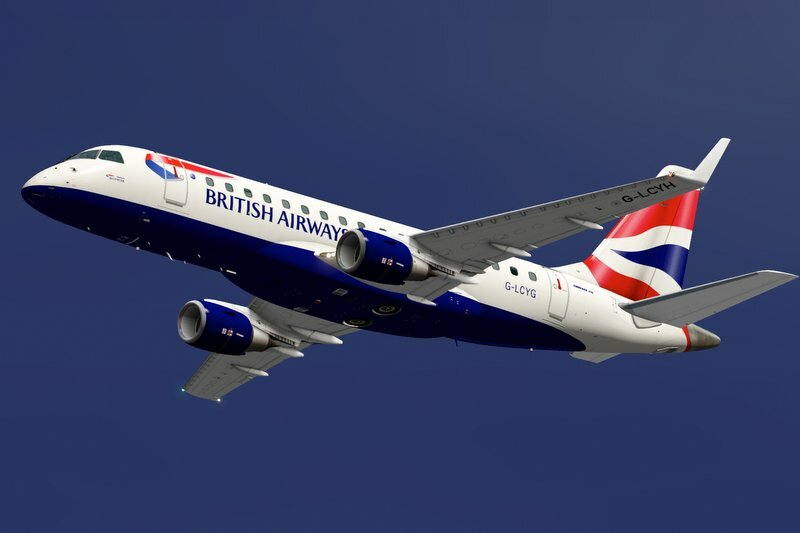 Built on years of experience, the SSG (Supercritical Simulation Group) brings you the E-Jet 170 Evolution series.A whole new level of sophistication to this popular Embraer regional jet as modeled for X-Plane. 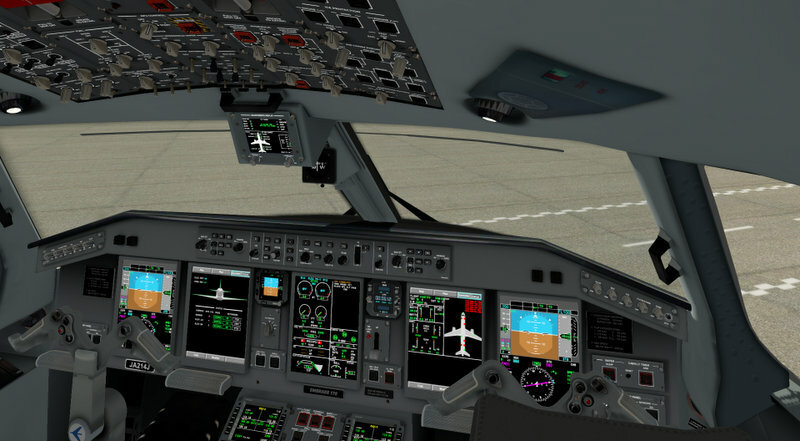 FMS is compatible with AeroSoft's NavDataPro and Navigraph navigation databases. Custom radio communication audio consoles optimized for on-line virtual ATC operations. FMS performance information based on real aircraft data, including calculated V-speeds. Vertical Situation Display (VSD) on the MFD. High-Res 3D modeling complete with detailed animations and textures. External lights and strobes operating realistically. 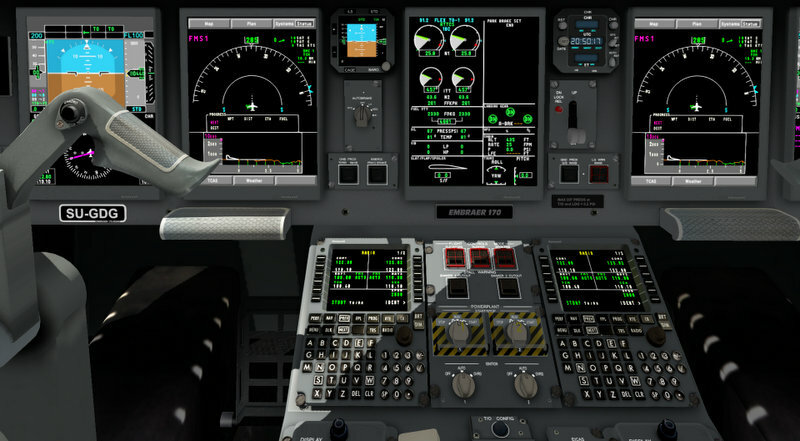 Option menu incorporated into the cockpit 3D. 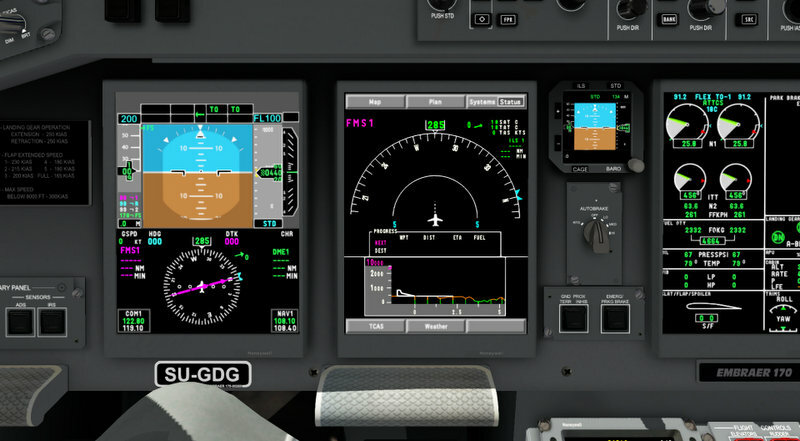 First Officer's MFD display is independent from the Captain's, and MFD has a pop-up option. - Totally redone automated flight behavior in APP mode. Any other mode can be engaged during APP mode active. - RTE PAGE 1 now changes to RTE PAGE 2 when pressing "next page"
This version is already tested and tuned to run in XP 11.10, update X-plane for the latest public version to take advantage of the new features and adjustments. It brings new features in the FMS and many many fixes into systems, FMS plugin, and some texture work. The SSG E-170 Evo v1.1 have the same system and features as the new SSG E-195 Evo. Out it particular data as it shares a system but it is a diferent plane. Added a full custom auto-throttle system. • Removed the TD and TC from the Flight plan in the MCDU. 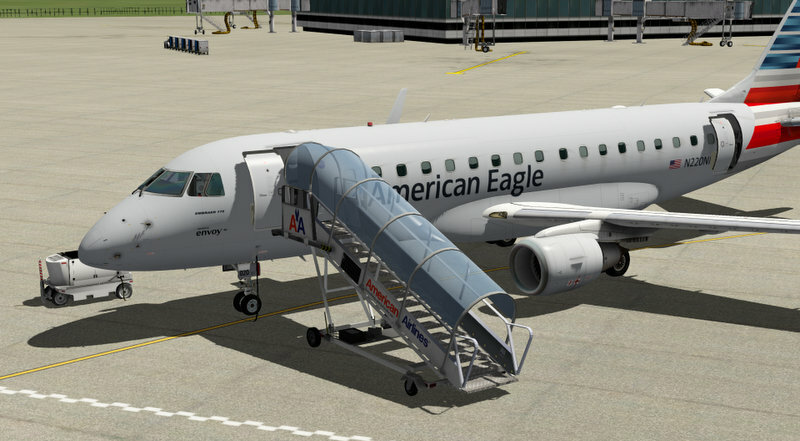 • Fuel flow in XP11 is better tuned especially at IDLE. • Fixed issue with Auto Throttle controlling . Completely reworked the panel actuator system and added support for mouse wheel and some dragging functions. Added many new commands for external hardware, the list of commands can be found into the package “Custom_Commands.txt"
Fixed start up time and ADV MSG start. - Fixed many behaviors in the map. - The Vertical Profile Display has been redone and now provides Flight Path Angle (FPA) and Vertical Navigation (VNAV) tracks. A complete rework of the AP with a lot of new modes, FPA guidance system with PFD indication and much more. Fixed and added functionalities to the TOGA mode. Fixed autopilot transitions correct status. Such as VALT to ALT, FPA to any other vertical mode, LNAV and LOC when pressing V/L. IAS/Mach selector now working properly.